Over 25 years anything can happen. So, on this and the next pages we are going to do our best to highlight political pitfalls that could seriously impact the future. The continuing ability of the Chinese Communist Party (CCP) to retain the loyalty of its citizens. The patience of Chinese ‘have nots’ in tolerating the rich and party officials in their ‘unfair’ share of wealth, sometimes through corruption. Need for the Chinese government and the CCP to listen and respond to the people. The ability of the Chinese central government to continue its sway over Tibet and Xinjiang. The continuing smooth transition of one cohort of senior Chinese leaders by the ‘next generation’ every 10 years. The success with which the CCP gradually loosens its grip and opens up to legal and political reform or lose its mandate. We will address each of these in turn. That ‘settlement’ has been in force for 20 years, bolstered by continuing export-led economic growth at around 10% pa, lifting 100s of millions out of dire poverty. Starting with the so-called banking crisis of 2008, export no longer looks to be a certainty. The Party has acknowledged that and in his recent address to the 90th anniversary of the CCP, President Hu lists domestic consumption as one of the new thrusts for the next five-year plan. That is all very well if inflation has not raised its ugly head. With affluence comes its twin brother, increased consumption. But the world, according to some experts, is reaching its natural capacity to provide adequate food for the population, slated to grow from today’s nearly 7 billion to 9 billion in 2050. If they are correct, then food price inflation is inevitable. Never mind shortage of water. Incidentally, there are global knock-on effects of Chinese inflation. The other potential pitfall is the amount of debt many cities are piling up to improve their infrastructure. The number of airports, metros, business and residential estates being developed is mind boggling and so is the debt – estimated at $2.2 trillion often through special investment instruments such as Local Government Finance Vehicles (LGFV) off the cities’ books – usually backed by inflated land valuation. So, on the one hand there is a surplus of $3 trillion, but on the other hand there is a huge national debt. If any unexpected event triggers foreclosure on some of these major project loans … ! Additionally, from data available, it would appear that loans to state corporations are cheaper and easier to get than that available to private firms. Recently, Foxconn maker of iPhones and other mobile gadgets announced it will be increasing its use of industrial robots from today’s 10,000 to 1 million in three years. This is partly to offset labour costs which has doubled due to industrial relations issues including suicides by factory workers. At present it employs over 1 million workers in China. It has not revealed how many of these will be let go. What is clear is that its performance from $35m profit to $280 million loss is largely due to labour costs. If this replacement of labour by robots is not a one-off case. Trouble lies ahead for China. In conclusion, without continuing improvement in living standards, the ‘settlement’ will fall apart. it is finely-balanced unstable equilibrium. President Xi‘s various initiatives include the so-called Mass Line Campaign which essentially is about re-aligning the party with the people. And tow of the major planks in this campaign are anti-corruption and party and government austerity. Six or more month into this campaign, instead of easing off, things are hotting up. Firstly, the charges are now being levied at very senior party officials. Secondly, the People’s Liberation Army is not immune and has been taken to task for extravagance. Thirdly, the austerity measures are not letting up. The worst part about corruption is not only that money is siphoned off into private pockets but often the results are devastating in terms of health and food safety, such as melamine-tainted baby milk, or medicines that contain no active ingredients, or meat fed with chemicals (clenbuterol) that help to reduce fat to produce lean meat but could cause human heart palpitations, shoddy public buildings – such as possibly schools that collapsed in the Sichuan earthquake in 2008, never fully investigated, and highways or railways. On 23 July 2011, a high-speed train was halted purportedly by lightning at Wenzhou on the Beijing-Shanghai line. A second high speed train ploughed into it, allegedly because of traffic signal failures. Government’s initial reaction was two-fold, to physically remove evidence of the train wreck and to order the media not to report adverse information. The power of the Internet and the rage of the citizens, both directly affected and at large put paid to the latter. Thousands of citizens descended on the site with flowers and other tokens of sympathy. Demands for an open and honest investigation have been acknowledged by the government. Even the official paper People’s Daily joined in with an editorial that said that although China needed such modern developments it did not need “blood smeared GDP”. Premier Hu visited the site and paid his respects. he also promised that anyone found to be guilty will be punished. Railway Minister Liu Zhijun had already been suspended in February along with some other senior officials. More heads are likely to roll. Not least because, in addition to this accident, there have been many incidents of faults along the network due to its accelerated development and opening to coincide with the 90th Anniversary. Following the rail accident, news is emerging that several bridges built in the last 10-20 years seem to be suffering from early decay. It now transpires that the prime contractor who won the tender, not always in open competition, would then pass the work down to a lesser company, sometimes several levels below, each level with bribery, so that by the level the work actually took place, the funds were not sufficient for quality materials or work! Perhaps China needs a Anna Hazare! China is now instituting a safety overhaul. Unless corruption is brought to brook, the credibility of the Party itself is at stake. A second aspect of the have’s and have not’s is the disparity between urban dwellers and migrant workers from the countryside. It is not well known that migrant workers do not have the rights of urban residents. In some ways they are just tolerated. There is growing frustration and also growing awareness by government that this state of affairs cannot carry on much longer without major unrest amongst mainly young males living in dormitories with basic amenities. China is reviewing the rights of migrant workers. Another aspect is that of land seizures where farmers and small holders have their land seized, often well below market value in the cause of factories, infrastructure projects or urban development. This has given rise to increased petitions. But that is seen by many as a waste of time. Those with Internet access, which is growing phenomenally, online complaints and exchanges of frustration is on the increase. China is reforming rural land ownership and registration. Unless government can deal with these issues effectively – and we do not mean by suppressing online interactions – things will boil over from electronic to flesh and blood, sooner rather than later. China is discovering that a sophisticated knowledge economy and authoritarian one-party rule may not be entirely compatible. There is also a marked increase in reported incidents involving the public and the police, often the Chengguan – urban security guards. Minor riots have been reported in various town and provinces. So far these have been isolated incidents. Government, of course, worries that these could somehow coalesce into something that could threaten its power. Most analysts think this is unlikely. But there will come a ‘tipping point’ when all of a sudden the much feared ‘jasmine revolution’ actual occurs. Microbloggers increased in 2011 four-fold from 63m to over 500m on Weibo, the equivalent of Twitter. It is increasingly difficult for the authorities to censor peer-to-peer interactions and for individuals to broadcast their views. In 2011, users were required to register in their real names rather than use pseudonyms. This is probably to enable the authorities to track who is saying what. But to quote Mao: it takes one spark to start a prairie fire! And, technology is on the side of the people, despite efforts by government to control and censor. An effort to harmonise things in the run up to the decade change in top leadership. to the train disaster at Wenzhou that resulted in some senior railway officials being demoted or fired. to repressive local administration at Wukan, that resulted in free local elections. to a proposed factory at Shifand that was unacceptable on environmental grounds, which resulted in the plans being cancelled. Improved migrant workers’ rightsand many more. 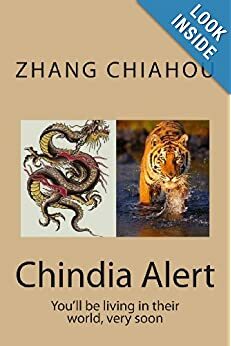 We have dwelt on this topic at length and will not repeat ourselves here, except to say that unless China solves the minorities dilemma, the periphery could trigger unrest elsewhere. In May, 2011, the death of an Inner Mongolian herder run over by a coal truck caused the largest protest since 1991. Fortunately, the protesters were against miners and police rather than between Mongolians and Han Chinese. After prolonged unrest, the driver was eventually arrested, convicted and sentenced to death. One trigger point will be when the current Dalai Lama passes away. China will try to impose upon the Tibetans his successor. The religious hierarchy will try to identify his reincarnation as they have done for centuries. The current impasse will turn into a new major power struggle. But who can tell what the outcome will be. Every five years, the President and Prime Minster are re-conformed or step down after the second term and new leaders are chosen, Retirement at 68 is mandatory. In 2012, it so happens that apart from the President designate, Xi Jinping and the Premier designate, Li Keqiang, all other seven members of the Central Committee of the Politburo will retire. 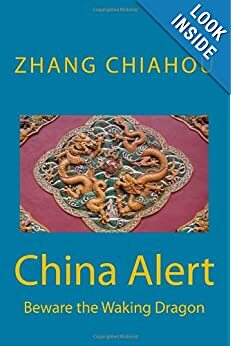 If all goes according to plan, China will continue on its trajectory to become the second most powerful nation by 2036. There are some signs that there is some tension amongst the leadership. Premier Wen since August 2010 has been speaking up on political reform. Others are attempting to re-assess the Party’s response to the so-called Tiananmen incident. According to Dr Kissinger in his book On China, he says that he met younger people who are reassessing the Great Cultural Revolution as something not entirely an unmitigated disaster, but with some benefits such as cutting through bureaucratic stagnation, or uniting people through a sense of common purpose – which he hastens to add, he does not share. There is talk of “universal values” such as freedom and democracy. Archival material has recently been released that enabled Frank Dikötter to write Mao’s Great Famine.However, there seems to be some backlash. Revival of Maoist art and song and the removal of a statue of Kong Fuzi in front of the newly re-opened National Museum points to an indication of some kind of doctrinal if not power struggle. So far, the CCP has not been good at its human rights record. Ai Weiwei is one example. Another high-profile example is Liu Xiabo who was awarded the Nobel Peace Prize in 2010, but was not permitted to travel to Oslo to collect it. In June 2011, there were reports of a blind lawyer, Chen Guangcheng beaten and his home vandalised because of his activism exposing a local government programme of forced abortions. There are many others according to Amnesty International. One thing the Party has learnt and that is not to execute dissidents. That would only make martyrs of them as Chiang Kaishek’s KMT did when they executed Chinese communists in the 20s and 30s. As China progresses from a ‘developing’ nation into a middle-income one by 2020, the leaders will need to face up to instituting legal and political reform, where the judiciary is independent and the state is autonomous from the Party. At present, as Prof Chovanac says in his paper (above) the three are slightly different aspects of each other with the Party on top and the judiciary at the bottom. The longer major reforms are postponed, the stronger the head of steam for change will build up. This time, if the population revolts, it will not be looking to the Tiananmen Square incident for inspiration but rather to Tahir Square, Tunisia and Libya. Without major reforms, the CCP’s mandate may come to an abrupt end before 2036. Paradoxically, at another level China is loosening its reins, such as not only tolerating but encouraging contact with the West, not only through goods and luxury items but through culture. For instance, since 2000, many multi-day rock concerts have been allowed or, in some cases, sponsored by the local Communist Party. These music festivals have been held not only in the expected affluent and westernised coastal regions but as far afield as the grasslands of Inner Mongolia and highlands of Yunnan. This loosening up has the tendency of encouraging the young to look out beyond the boundaries of China. Once they start to glimpse the freedom available to young people elsewhere in music, art, and literature, they soon start to ask questions about freedom in other more important spheres like democracy and human rights.